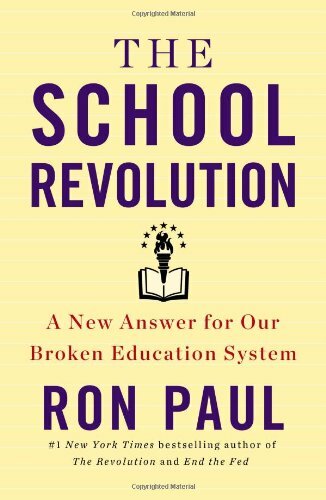 Editor’s Note: This selection is taken from Chapter 5 of Ron Paul’s new book The School Revolution: A New Answer for Our Broken Education System. Whenever the state intervenes in a market to restrict entry by sellers, it results in higher prices. Customers are not able to buy the kinds of goods and services they want, at a price they are willing to pay. So the producers who would otherwise have entered the market are forced to enter other markets. These markets are less profitable than the restricted markets. Customers in the regulated markets are worse off, and so are marginal suppliers who leave those markets. We can see this principle at work in the market for education. The supply of education is limited by government restrictions on academic certification. Teachers must go through a specified regimen at the college level in order to be eligible to teach in the nation’s tax-funded school systems. This reduces the supply of teachers who can legally be hired by local school districts. Furthermore, restrictions on school construction by private entrepreneurs limit the amount of competition tax-funded schools face. So, parents are compelled to send their children to school, but the state restricts the number of schools available to parents. This creates a near monopoly of education, kindergarten through twelfth grade, for the state. The state uses tax funding to build schools, and it uses the regulatory system to restrict the creation of rival schools. This is the classic mark of a monopoly. Bureaucrats in the field of education, which is almost exclusively nonprofit education, have a bias against price-competitive academic programs. They assume that these programs are of low quality. They think it is a good idea to close the market to sellers of any kinds of curriculum not certified by educational bureaucrats. They have greater control over the content and structure of education when they can restrict entry into the marketplace. In the name of helping children, these promoters of self-interested restrictions on entry conceal the fact that they are able to exercise greater power over education and then charge more for the privilege of doing so. This is why libertarians believe that there should be open entry into the field of education. They do not trust state bureaucrats to act on behalf of parents, especially parents who have a particular view of the best methodology and content for the education of their children. The bureaucrats operate in their own self-interest, which is to expand their power and income. This raises the issue of government regulation of schools. First, the government requires compulsory attendance. Second, in order to keep control over the content of the curriculum, governments establish rules and regulations governing those schools. Parents are not allowed to send their children to schools that do not meet these qualifications. The qualifications are set very high, so that not many schools can be established to compete against the public school system. This increases the power of the public school system, and the power of the bureaucrats who run the system. An example of this kind of regulation can be seen in the requirement that private high schools have libraries of at least 1,500 books. States around America had this requirement or something similar to it in the 1990s. But a student in the early 1990s was able to carry a CD-ROM with 5,000 books on it: the Library of the Future. No matter. 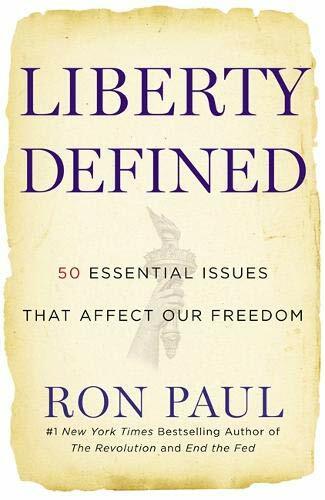 A CD-ROM and computer stations did not count as meeting the Liberty Defined: 50 Es... Ron Paul Best Price: $2.00 Buy New $5.85 (as of 04:15 EDT - Details) 1,500-book requirement. The books had to be physical, so tax money had to go toward that. Today students have access to hundreds of thousands of books by means of the cell phones in their pockets. But accredited high schools must still have physical libraries. These libraries must be run by someone with a degree in library science. Conclusion: The library requirement has nothing to do with the number of books in the library. It has everything to do with increasing the cost of building a facility that qualifies as a school that meets the government’s regulations. In the 1980s there was a great battle over homeschooling. States around the nation passed laws prohibiting parents from substituting homeschooling for schooling in either a tax-funded school or a private school. The private schools were so expensive that only a handful of parents could afford them. This meant that parents would simply have to send their children to the public schools. The appearance of homeschooling in the 1970s and ’80s represented a threat to this strategy of restricting the supply of competing educational programs. States prosecuted parents for teaching their children at home. There should not be anything resembling a government monopoly of education. Standards that govern the public school system locally should not be imposed on parents who decide to remove their children from that system. Without freedom of parental choice in education, the state will pursue a policy of extending its monopoly over education. Tenured, state-funded bureaucrats will then use this monopoly to screen out ideas that call into question the legitimacy of government interference in many areas of life, including education. 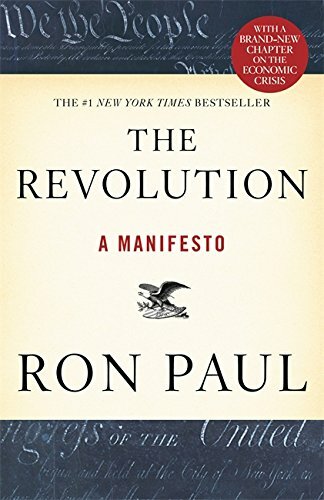 The government does not have to burn books in order to persuade the next generation of voters of ideas that favor the government. The government need only screen out books and materials that are hostile to the expansion of the state.